Through breathing techniques, enunciation and voice development exercises, and various copy work( that will be recorded) and dramatic exercises; you will learn the tools to make you a better speaker, and be able to recite different copy work (narratives, commercials, news reports) with ease and a beautiful speaking voice. This voice lesson is suitable for actors, public speakers, and anyone in Vancouver area who wants to improve their speaking skills. News reports, commercials, narratives, and cartoon characters will be explored. Monologue Coaching Are you auditioning for a play/musical/ or drama or music program at college or university and need some coaching? Are you wanting help auditioning for commercials, plays and television? Learn techniques for proper character development, sound quality, stage presence, breathing techniques and music theory. All her students so far have gotten parts or have accepted for a music or drama program. 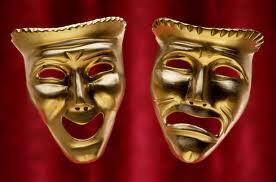 Speech and Voice Acting Develop Voice acting: Imagination, clarity, resonance, characterization & confidence. 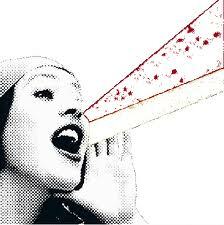 Develop a beautiful , clear, expressive, speaking voice !! You will learn proper breathing techniques, methods to to help you not strain and project your voice, effective enunciation techniques, methods for speaking in public, and practice radio copy including commercials, narrations and news reports. Great for actors, teachers, presenters, telephone sales people, and anyone who uses their voice for a living. Maryse Schembri renowned teacher/ performer, has been teaching voice and radio and theatre technique since 1971.Her informative and engaging teaching style will make this workshop a fun and very useful experience. There is a limited space of 6 people per class, so register now!